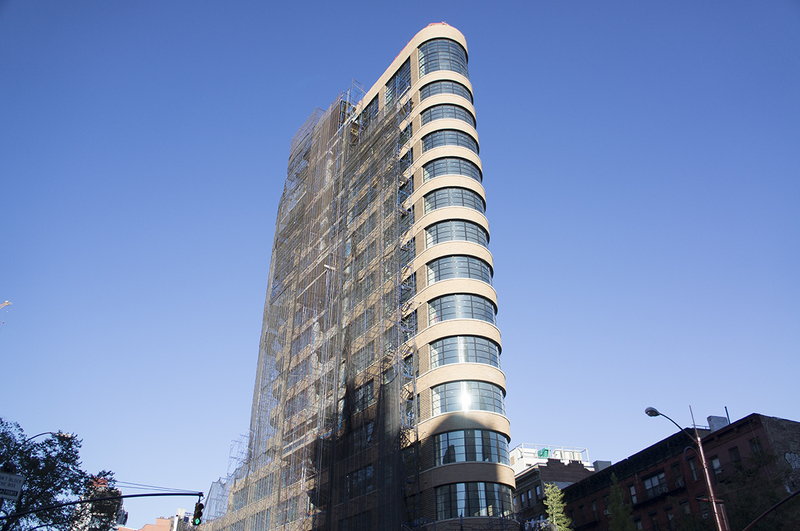 The flatiron-shaped facade at 10 Sullivan Street in Soho has most of its hand-laid Norman bricks and curved glass, and workers are busily installing bathroom tile and gas fireplaces. 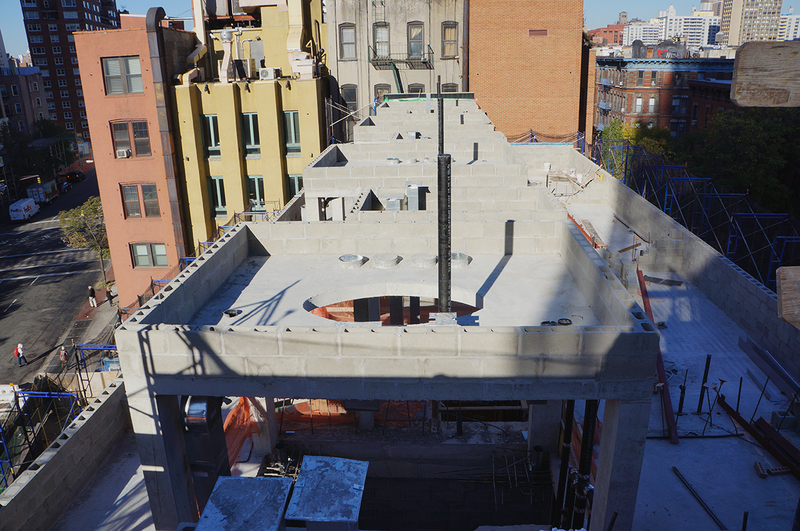 The building will eventually top out at 16 stories and hold 22 condos on a triangular lot wedged between Sullivan Street, 6th Avenue, Spring, and Broome Streets. 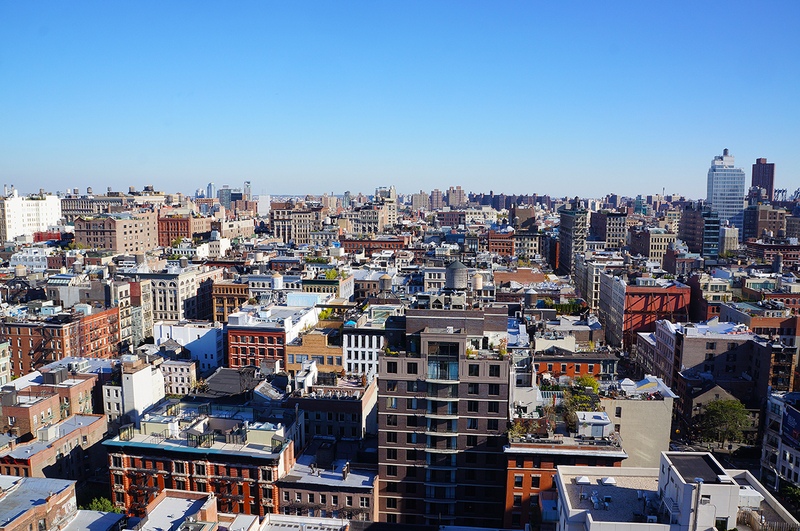 The development promises to be one of the tallest in Soho, where zoning and landmarking have prevented most construction beyond 10 or 12 stories. 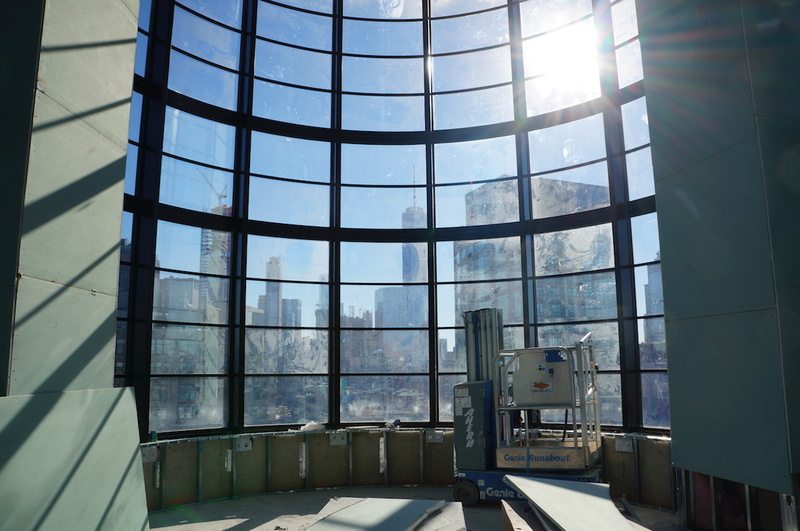 YIMBY toured the site earlier this week, and we were struck by the views from the roof, which stands 203 feet tall. But a few taller buildings have sprouted to the west in Hudson Square, including the 498-foot-tall Trump Soho. Zoning there was relatively generous until the city rezoned the neighborhood in 2013, capping new building heights at 290 feet. The interiors are just starting to go in, and the building is already 80% sold. The pricey apartments first went up for sale in June 2014, starting at $2,550,000 for a one-bedroom and going all the way up to $45,000,000 for a triplex penthouse equipped with a private pool and roof deck. Even as a shell, the 8,359-square-foot penthouse is impressive, thanks to soaring 23-foot-ceilings and a wall of curved windows. The ground floor will host 1,800 square of retail and a 10-car parking garage, where condo owners will be able to purchase spaces. 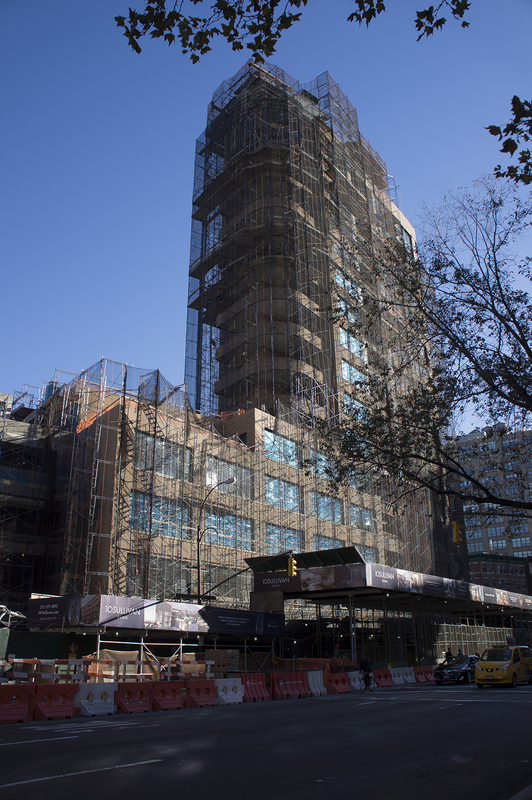 The Cary Tamarkin-designed project won’t just include condos. Four single-family townhouses are rising on the northern end of the lot at 20-50 Sullivan, but they’re just brick shells at the moment. Eventually, each 25-foot-wide home will have four bedrooms across 5,000 square feet of living space. Only 20 Sullivan has hit the market so far, asking $18,500,000. The townhouses are expected to be finished next spring. 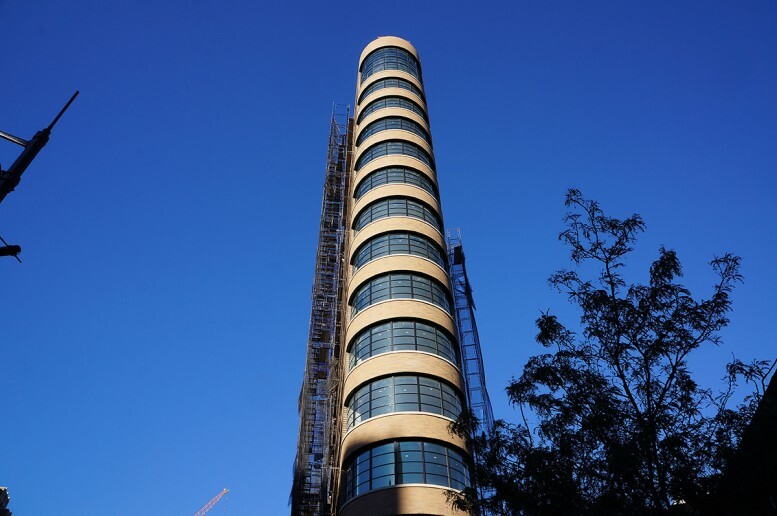 Property Markets Group and Madison Equities are developing the project, which will get its first residents in January.